It’s that time of year when many families start dreaming of sunny destinations, sandy beaches and a little break from the everyday routine. As much as we all love the hustle and bustle of the holiday season, it’s also a big energy sucker for a lot of parents. Between the gift shopping, school concerts, after-school activities, work parties and family events, there’s rarely a quiet moment. I know we started dreaming of an escape earlier last week when a deep freeze swallowed the Toronto area (at one point is was -21 degrees Celcius by the waterfront). The US Virgin Islands might be one of the more beautiful, quiet places we visited with the kids. It feels like it’s off-the-beaten tourist path and it’s yet to be inundated by tons of visitors. There are great resorts here, beautiful weather and a lot of cultural and historic activities. Depending on the ages of you children, this might be an ideal getaway for you. We’ve done boat tours, shopped in historic Charlotte Amalie, ferried over to St. John’s for the day and spent hours at the beach. It’s not the most stroller-friendly place so if you’re looking for somewhere to explore with wee ones, this might not be the best option. There’s also a lack of that energetic “Disney” vibe. That said, we visited when our children were younger than two years of age and we had a pleasant experience. We enjoyed the beaches, the resort amenities (pools, shops, restaurants) and my mom and I shopped in the downtown area. Cruise ships stop here so there’s a ton near the port in terms of shops and restaurants. There’s also an amazing watch, handbag and jewelry shopping scene here with a lot of items costing way less than in Canada or the United States. 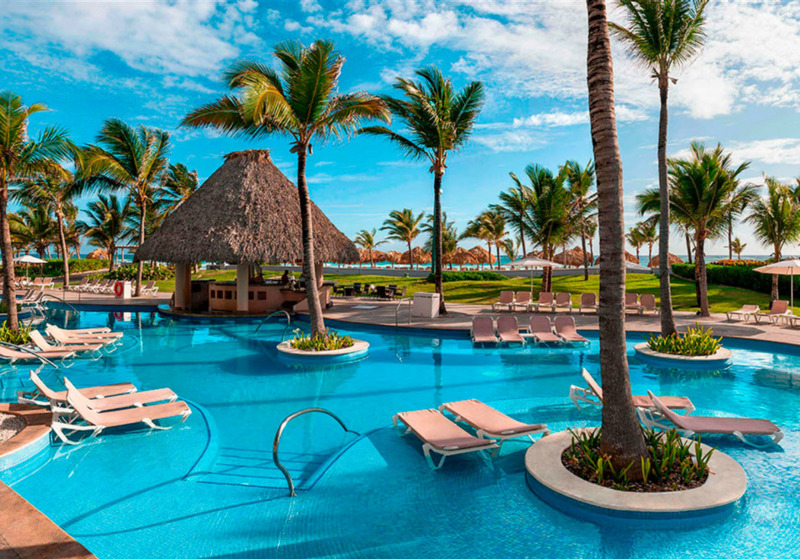 If price is no object for your family and you’re looking for a totally immersive kids experience, you’ll want to look into the Nickelodeon Hotel & Resort Punta Cana. While we’ve never stayed at that exact resort, we have visited the location in Orlando, Florida. 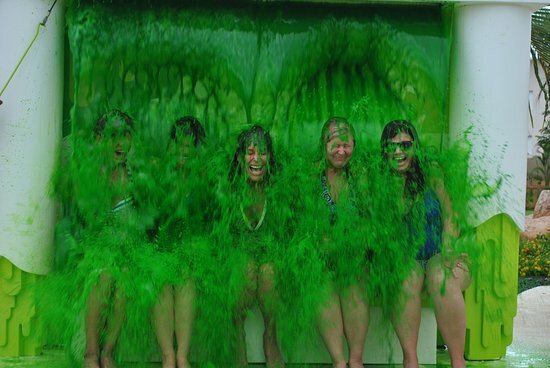 If you’re looking for wild & wacky entertainment, featuring popular Nickelodeon characters (like Sponge Bob and Dora) and the chance to get slimed, this is your place. 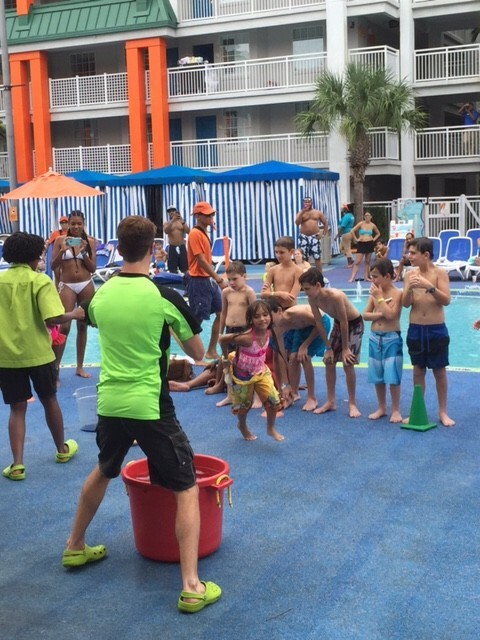 Our teenager got slimed in Florida and it’s a memory he’ll never forget. 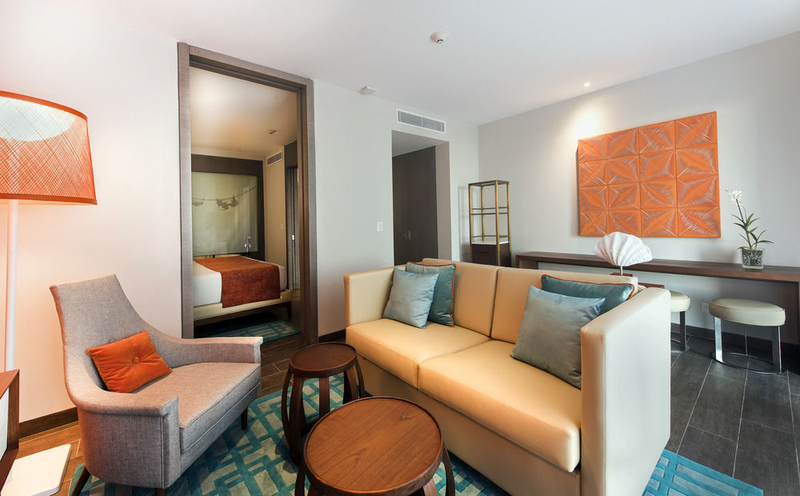 Despite offering some of the best kid-centric activities, the rooms are actually quite stunning and some offer swim up access (although if you’re traveling with very young kids or toddlers this could be a hazard). We’ve been following prices online and even when the resort goes on sale (like Black Friday), you’re still looking at well over $10,000 per family, for one week (for hotel only). So, like I said, if you’re not concerned with budget, this is definitely worth checking out. 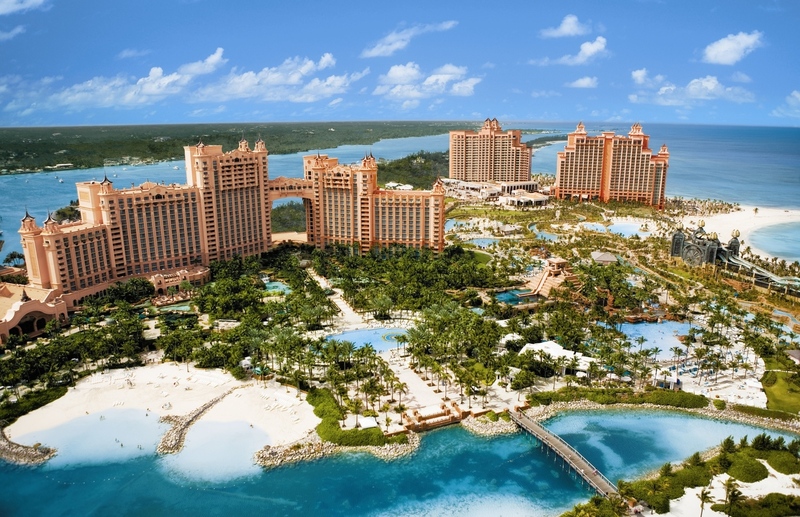 You’ve likely heard of Atlantis Bahamas Resort. Their commercials have been on-air for years and feature the straight-drop water slide, swimming with dolphins, a gorgeous beach, a casino, large yachts and so much more. But, did you know they also have timeshare type suites available? If you look at the image above, the buildings to the far right are more of a residence type place. They’re tucked behind “The Cove” area for adults and are set up for longer-term stays or families. We booked a room that offered a kitchenette, large bathroom and two queen beds. The hotel amenities are ideal for that beach vacation. Perfect sand, a water park. restaurants galore, walking trails and so on. We never left the property. Kids love it here because there’s so much to do. 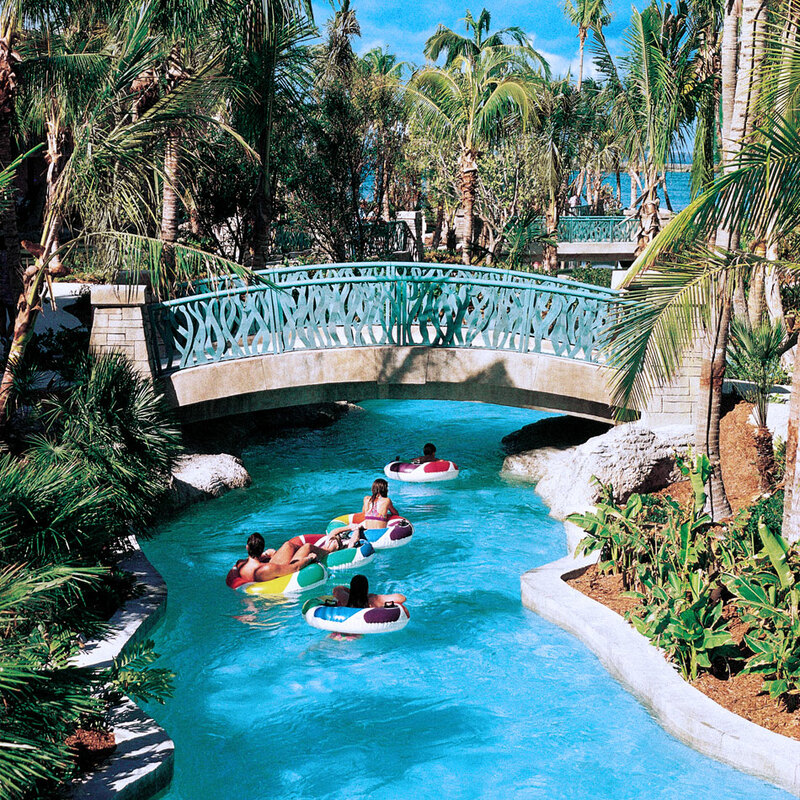 The “lazy river’ type experience is anything but lazy, offering a total thrill ride when the waves start. 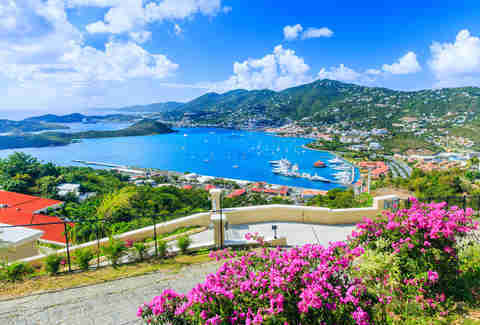 Flights are a relative short distance as well, which is always a bonus (when looking into St. Thomas, we always got connecting flights which made for a long travel day when flying with babies). Overall, the above three locations aren’t always at the forefront of parents’ minds. Most think of Cancun, Dominican Republic or Florida. So here are some fun options to consider. If you’ve found an ideal vacation destination, send us a note so we can share with the community.